When I was in fifth grade, my teacher Mr. D introduced me to the world of Carmen Santiago. I was on a mission around the world learning about people, places, and things. I was able to problem solve with friends to apprehend this notorious fugitive all while at an old style Apple computer while playing a game. Later on, my parents bought a game where I was a surgeon. I had to read about my patients health conditions and then help them to get better. Games allowed me to gain confidence in my problem solving skills, and use of technology. All of these moments helped change my world. I was sold on the benefits of educational gaming. My views grew stronger as I used games while tutoring children who were reluctant readers. Then, I found games that helped to reinforce content in my own classrooms. Now, as the mother of a soon to be kindergartener and fourth grader, I allow my children to use them as well. Of course, finding games that I am comfortable with is not always easy. Many are violent, filled with more game than learning and/or problem solving skills. I often rely on word of mouth from my friends, or a great campaign opportunity to introduce me to something I had never heard of. 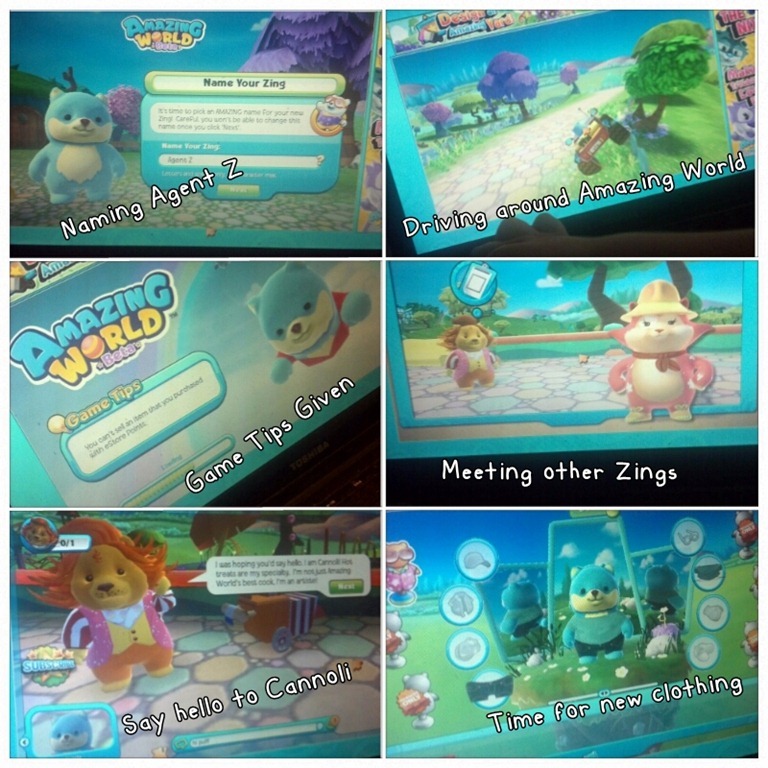 Thanks to Global Influence, I recently found out about a new game for children called Amazing World by Ganz Studios. Since I have been looking for a new game for my oldest son to try, I allowed NHL to test out the free version of Amazing World. Once we downloaded the game, we were transported into the virtual world full of Zings. If you were curious, Zings are the citizens of Amazing World that are able to be named, customized, and get challenged along their adventure. NHL named his generic free Zing – Agent Z (homage to Agent P) and he was off. Within minutes, he was hooked. He was laughing at the interactions with other characters. 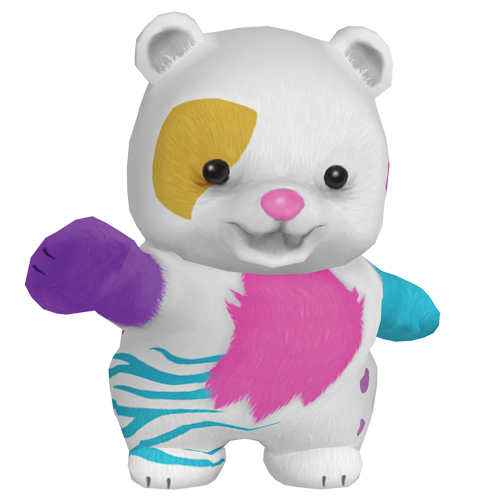 The 3D colorful and fun environment within Amazing World engaged him like I have not seen in a while. I loved that he was reading, solving puzzles, and navigating throughout the world. He was thrilled to locate new items, collect prizes, and figure out how to build his own home for Agent Z. 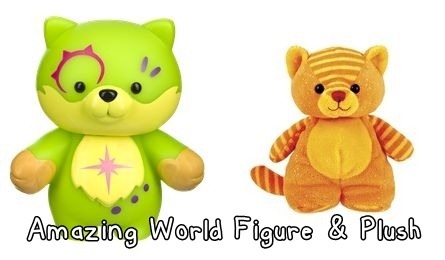 In addition to the free version of Amazing World, you can also register Amazing World plush toys or figures (Zings). 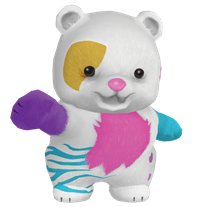 They will then come to life in your game and allow you to use an exclusive item within the world. The full subscription to Amazing World also allows players to have full access to the gaming world. The free trial account limits you to the first 20 levels (there are 50), only four friends on your friend list, access to only four Amazing World hosts, and limited items that you can buy in the World Shop. NHL quickly realized that there were items that he could not do, but was okay with it now. I have to admit, with his love for the game, we may invest in the subscription to allow him to have more fun within this world (his birthday is this Friday). ***Do not forget, once you Tweet, please be sure to come back here and link to your entry Tweet in the comments below. This will be the only way that I can track entries and contact the winner. Please follow the rules above within the comment section. Giveaway begins August 13, 2012 and ends August 23, 2012 at 10:59 EST. You do not have to be a blogger to enter (you will need a Twitter account), but must leave a valid e-mail address for me to contact you for mailing address once the giveaway is over. I will select the winner using random.org and contact you via e-mail. You will have 48 hours to claim the prize. If there is no response, another winner will be selected. Open to US residents only. Disclosure: I wrote this post as part of a compensated Global Influence campaign. As someone who understands the value of computer based video gaming for children, it was fun to learn and watch my son enjoy something so much. Now, I just hope he will allow me to explore some as well. Ganz will not be held liable for any problems during the administration of the contest, but they are responsible for fulfilling prizes to the winner. Thank you to everyone that entered. The giveaway is now closed and the winner will be receiving an e-mail shortly.